Founders of a new farmer-to-farmer online payment system say it will help producers claw back value lost in the supply chain while ensuring buyers and sellers’ transaction monies are protected. 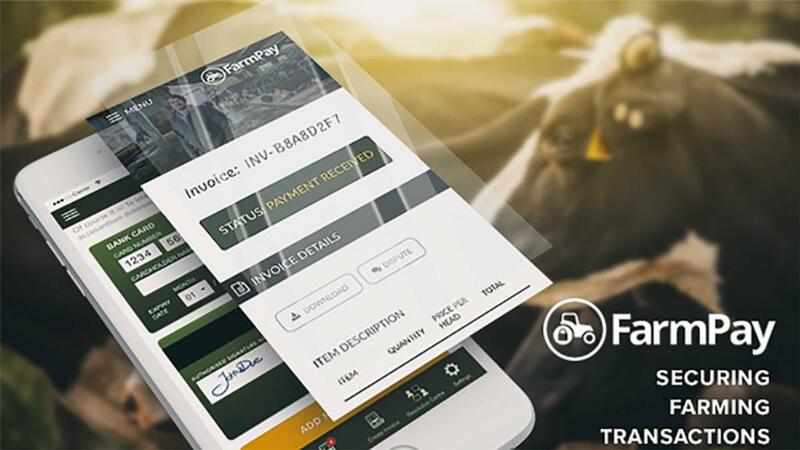 FarmPay, launched by Hectare Agritech, the company behind online trading platforms SellMyLivestock and Graindex, guarantees funds by providing an ‘escrow’-type account which holds monies securely until the deal is completed successfully. The platform is the brainchild of web developer Jamie McInnes and former Morrisons agriculture manager Andrew Loftus, who said the new system was the ‘logical’ next step for the trading sites. They said they saw FarmPay being to Graindex and SellMyLivestock what PayPal is to Ebay. Mr McInnes said online livestock trading had seen considerable growth in the four years since SellMyLivestock was launched. However, some buyers remained cautious about trading direct with farmers they did not know. cereal-trading site Graindex,” said Mr McInnes. “Together these farm businesses listed almost £40 million of livestock and cereals for sale on the platforms in 2017, up from £13m in 2016. “FarmPay removes an obstacle to those who feel more confident working through third parties rather than trading direct. The buyer’s money is held securely in the holding account until they can see the stock on-farm and finalise the purchase. A commission structure is being developed but Hectare Agritech said users could be charged a maximum of 2 per cent of the purchase price if they only used the site once a year. For regular users, that amount would reduce. Mr Loftus highlighted how the platform could be used to improve data use and help farmers recoup millions of pounds of value farmers were currently losing from the supply chain each year. He also said online trading removed the need for farmers to take biosecurity risks by attending auction marts - markets he said were not only costly to run but also took precious time out of farmers’ working days. “With fragmented livestock supply chains and poor communication of market signals from consumer and retailer back to breeder and finisher, better information flow will benefit farmers, and help ensure more of their animals meet clearer specifications," said Mr Loftus. Speaking at the launch in London this week, he used industry statistics to show how up to £500 million could be recouped annually from the beef supply chain. “These gains come from improved Feed Conversion Efficiency, reducing waste from over finishing, better yields of the most valuable cuts, lower transaction costs and healthier animals," added Mr Loftus. The initiative has secured £3m investment from angel investors who have previously backed Uber, Snapchat and Dropbox. Mr Loftus said the new service could also support new entrants to farming and those wishing to expand by providing a unique livestock leasing facility. “Hectare plans to release a range of highly competitive livestock leasing options shortly. These will not only free up working capital to invest back in the farm, but are tax efficient too”.